Let’s talk about how the ancient wisdom of MCT oil benefits your mind in big ways. They provide clean energy, stabilize blood sugar and help us power through our busy lives. MCT’s might be the hottest health kids on the block, but they certainly aren’t the newest. In fact, they’re one of the oldest “energy supplements” in the world. We’d even call them ancient. When our founder, Sioma, travelled to southern India after college, his studies of Ayurveda led him to a pretty cool realization: he’d been underestimating the amazing powers of the coconut! In ancient cultures, coconut oil was prized as an elixir that provided long-lasting energy for the body and nourished the mind. What’s the key to this ancient secret? MCT’s! MCT’s are naturally found in dairy fat and palm oil, but are most abundant (and sustainable) in coconut oil. In fact, coconut oil is made up of as much as 70% MCT’s! Named for the length of their carbon chains, the 4 MCT’s (Caproic Acid, Caprylic Acid, Capric Acid and Lauric Acid) have between 6 and 12 carbon molecules and are unique for their ability to be absorbed and digested more quickly than other fats. Even though our bodies innately know how to burn fat for fuel, many of us don’t use this skill. We rely instead on quick bursts of energy from glucose—which comes from carbohydrates— that burn out fast and leave us more tired than before. MCT’s help us avoid this trap. Using unique metabolic pathways, they give our bodies the energy we need to stay focused. Since they bypass glucose production, we’ll notice our energy picks up quickly and lasts for hours. The best part? Clinical trials show MCT’s support cognition! Caprylic and Capric Acid, with 8 and 10 carbon chains, are metabolized as energy the quickest—and they’re the MCT’s we include in Wonderfuel! Our brains are the fattiest organs in our bodies, and MCT’s give them fuel for optimal function. Our ancestors knew what they were talking about! So, how do we apply the wisdom of the ancients to our modern lives? One simple trick is to combine caffeine with MCT’s for a morning brain boost! No, ancient cultures weren’t adding MCT’s to their daily latte. But they did recognize the wonderful benefits of blending these two energy powerhouses. They knew that pure coconut oil combined with caffeine was a recipe for long-lasting energy in mind and body. By keeping your blood sugar balanced, MCT’s even out the stimulating effects of caffeine. That means hours of productive work and zero crash. Ancient cultures used this formula to survive in harsh climates, and we can use their wisdom to thrive. We created Wonderfuel so we could easily experience the brain-boosting effects of MCT’s in a convenient and delicious package, and our Coffee flavor takes it to the next level with caffeine! Wonderfuel’s Coffee flavor is a tasty, healthful way to get the benefits of 90 mg of caffeine + 7 g of MCT’s first thing in the morning. Whether you’re working through a sweaty yoga class or just want to make it to school pickup, combining MCT’s and caffeine is an easy and natural way to welcome more energy into your day. 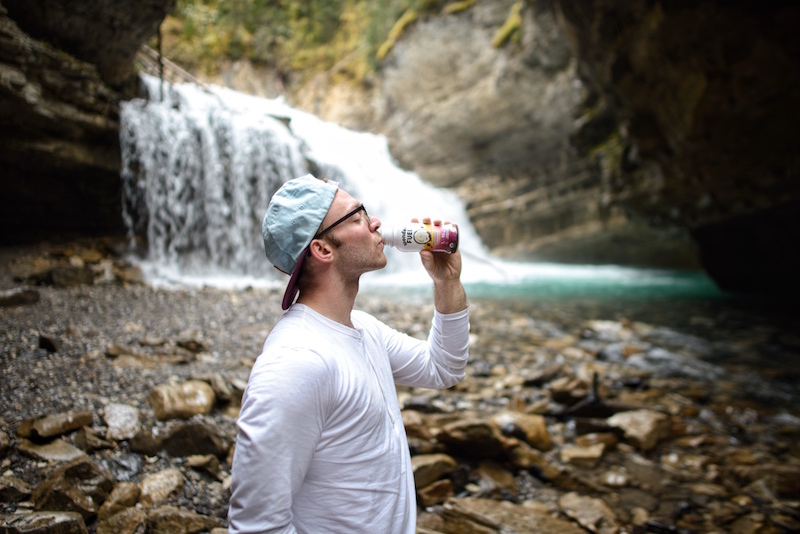 Our Coffee flavor is made with fair-trade coffee, and like all Wonderfuel drinks is exclusively made with MCT’s fractioned from non-GMO coconuts. They’re vegan, gluten-free, and never include palm oil, so we can help protect the health of the forest ecosystems that inspired our amazing product. If caffeine isn’t your jam, our Original also offers the benefits of MCT oil without the extra buzz. Whatever flavor you choose, coconut-based MCT’s are pretty darn tasty! Just grab a bottle from the fridge and you’ll be set for hours. How will you combine caffeine + MCT’s for a day full of wonder?